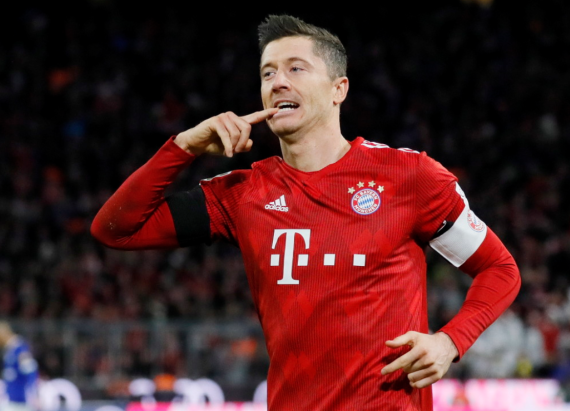 Dortmund’s lead at the top of the table has been cut to just five points after they dropped points against Hoffenheim, while Bayern Munich managed to capitalise with a victory over Schalke. The relegation zone is heating up with Stuttgart, Hannover and Nurnberg all battling it out for survival in the top flight. That’s enough catching up for now, let’s get down to business. Augsburg have been terrible in recent weeks with four losses from their last five games, including a 4-0 defeat at Werder Bremen last time out. Bayern Munich have won eight of their last nine matches and have the best away record in the league. The last 11 meetings have produced 37 goals at an average of 3.3 per game. With that being said, the Over 2.5 Goals market is tipped at 4/10. Wolfsburg are off the back of an exciting 3-3 draw away to Freiburg and will be looking to build on that. Mainz have been poor of late with back-to-back defeats, scoring only once and conceding eight times. These sides have drawn their last five meetings against each other. However, with home advantage and looking at the form, I’m backing Wolfsburg to edge the win. Schalke have been dismal of late with back-to-back losses, scoring once and conceding five times but will receive a boost with the home crowd behind them at the Veltins-Arena. Freiburg have registered just two wins from 10 matches on the road. This one should go down to the wire with both sides struggling in recent weeks. However, I do think Schalke should claim all three points with a narrow victory. Hoffenheim are coming off an impressive and thrilling 3-3 draw away to Borussia Dortmund. Hannover are placed second from bottom of the log with just three wins from 21 matches and are winless on the road. Hoffenheim have won the last five meetings at home against Hannover and four of those encounters the latter managed to find the back of the net. The Matchbet and Both Teams to Score – Home and Yes – market offers decent value at 23/20. Relegation-threatened Stuttgart are winless in their last six matches with five defeats. Leipzig have won two games on the bounce, scoring seven goals without shipping any. The Reds were slaughtered 3-0 at newcomers Dusseldorf and that doesn’t look likely to improve here. Back the Red Bulls to get the all-important win. Hertha Berlin were absolutely brilliant last weekend as they handed Monchengladbach their first home defeat of the season, a 3-0 hammering. Werder Bremen are unbeaten in their last four matches, including a 4-0 home win against Augsburg last weekend. The reverse fixture ended in a 3-1 victory to the latter and I’m anticipating another goal fest here. Both Teams to Score – Yes – is tipped at 11/20. Eintracht Frankfurt would have been happy to hold Leipzig to a goalless draw last Saturday, extending their unbeaten run to four matches. Monchengladbach were thrashed 3-0 in front of their beloved fans at the hands of Hertha Berlin. However, the Borussians have won consecutive matches on their travels and will look to build on that. The Totals – Over 2.5 Goals – market looks ripe for the taking at 11/20. Bayer Leverkusen have been in top form with three wins on the spin, scoring 11 goals and conceding just twice. Dusseldorf were excellent last time out at home, humbling Stuttgart 3-0. The hosts are firm favourites to come out on top but Dusseldorf definitely have the quality to upset the applecart. Goals look a certainly here, so I’m backing Both Halves Over 1.5 Goals at 23/10. Last but not least, the basement-dwellers Nuremburg will play host to the table-toppers Dortmund. The relegation-battlers are without a win in their last 12 matches in all competitions, while BVB are unbeaten in their last eight matches. The Black and Yellow Army should come away with maximum points. Back Dortmund on the Half-time/Full-time win at 19/20.